This product not only adds moisture to your skin, but it also adds a great smooth texture as well as slight tightening. It feels great on! I apply this prior to my moisturizer and I have already seen instant improvements in my skin texture and hydration. No scent. Fast absorbing. I use day and night. 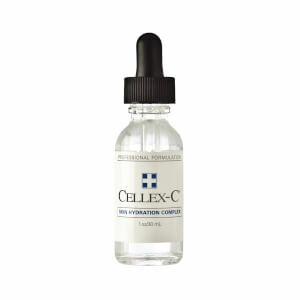 Use w/Celix C cream, or any moisturizer a.m./p. I have been using this for years and it seems to give me more moisturizing effect than without. I also use it before using Retina-A. My skin is very sensitive, this one is very gentle, and makes my skin very soft. Greatest skin hydrater ever! A MUST USE WITH THE CELLEX C! it hydrates really well, and absorbs smoothly. even though the price is quite high, but since you only need two drops a day, so it's no biggie. some tips: 1. you have to use this product in the night only, even though the product package didn't say so. because it's light sensitive. 2. you need a decent moisturizer to use after this product. since basically this product is "absorbing" the water from outerior. my suggestions would be: wash your face first, then pad on your toner, then quickly apply this product, then use your intensive moistuizer. great but skin qeuticals's serum is better! this serum was great, but I liked skinceuticals's serum much better! Like others, I had been using the Cellex C without the Hydra B. It makes a massive difference. In just two weeks, my skin looks amazingly younger and smoother (not to mention feeling soft). Several people have complimented me on my skin and thats a first for me. This is the knockout punch!! Using this product in combination with the Cellex C syrum and contour eye gel. WOW! In only DAYS I saw noticeable results and after only three weeks of use, I am going without makeup! These results made me want to do more and I just invested in my first photorejuvination IPL light facial. If it wasn't for the results of these products (which the aestetician recommended), I never would have considered such a treatment; however, I have a lot of sun damage and wanted to make an even more dramatic impact. Even if you don't ever do micro dermabrasion or IPL photorejuvination, these products WORK! 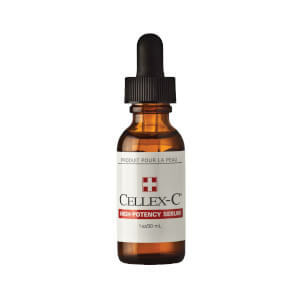 Kudos, Cellex-C! You have a client for life!